A new entry in the Halo series has been announced, but it’s not coming to Xbox One, PC, or any other home gaming platform for that matter. Nope, the newly-announced Halo: Fireteam Raven is a four-player shooter coming exclusively to arcades. Y’know, those places where you pay a buck to play games with PS2-era graphics for 90 seconds? Don’t you kids act like this isn’t ringing a bell. To be fair, it seems like a fair amount of effort has been put into Halo: Fireteam Raven – the game was developed in conjunction with 343 Industries, and its arcade cabinet is an elaborate affair boasting a 130-inch 4K screen and all sorts of other bells and whistles. Check out a trailer for the game, below. Halo: Fireteam Raven is a cooperative arcade sci-fi shooting game from arcade legends Raw Thrills and Play Mechanix in a unique partnership with 343 Industries. Set in the timeframe of Halo: Combat Evolved, this new arcade experience hot-drops players feet first into the boots of Fireteam Raven – a group of elite Orbital Drop Shock Troopers (ODST) on the surface of Alpha Halo fighting alongside Master Chief and the rest of the UNSC as they try desperately to prevent the alien Covenant alliance from taking control of the ancient superweapon. The new game is housed in a massive, epic, and imposing coin-operated arcade machine. An enormous 130-inch, 4k screen experience and four turret-mounted, multipurpose machine guns allow four players to fight Covenant troops, spacecraft, and vehicles, encounter the horrifying “Flood” infestation — and save the galaxy in frenetic, explosive combat. 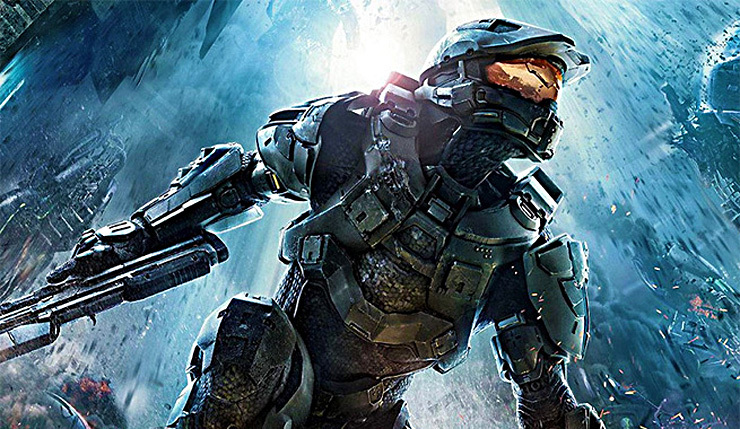 Scatter all this across a wide variety of epic landscapes and encounters in a cooperative experience and you’ve got a Halo adventure like nothing else you’ve ever played in the franchise. 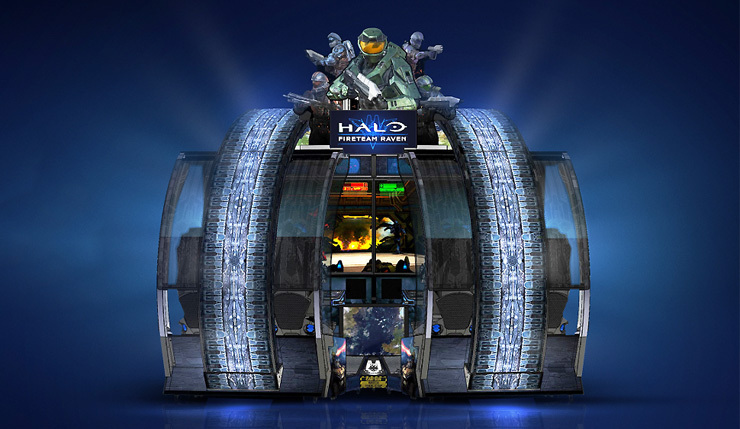 Halo: Fireteam Raven will hit Dave & Busters this summer, but will roll out to more locations this fall. I look forward to wasting some time with the game while waiting for my movie.